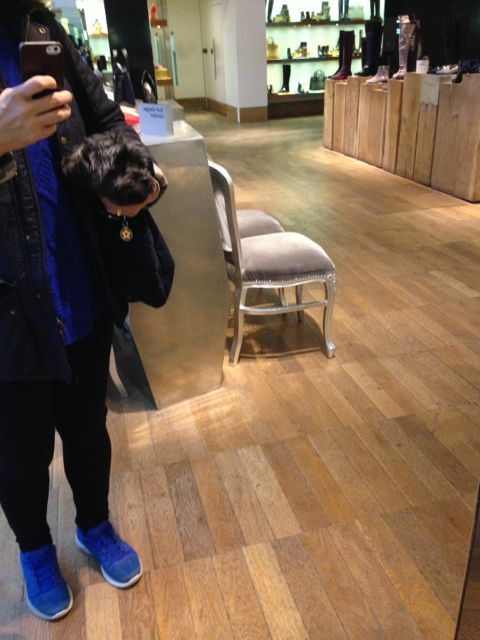 Yesterday was a shopping day for Georgie. 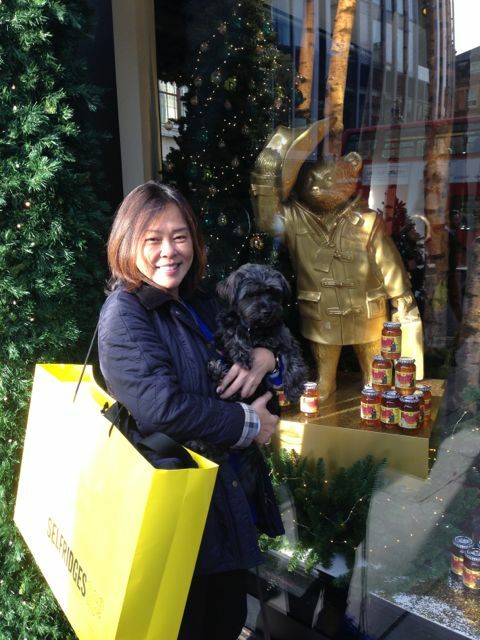 He got to walk Oxford Street and visited Selfridges – dogs are allowed in only if carried – in arms or in bag. 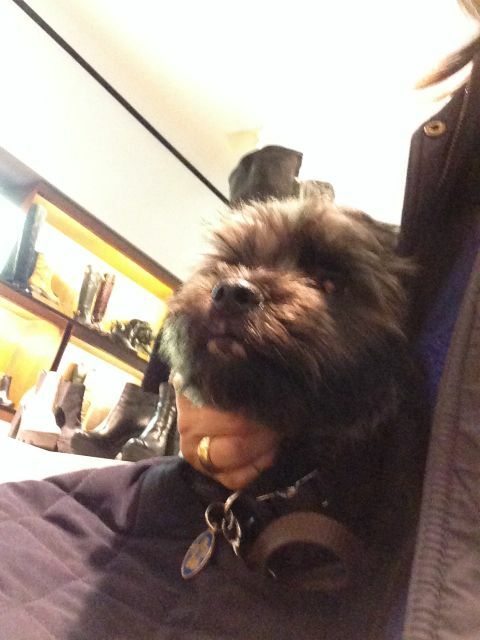 They first went to the shoe department – In the bag – the same one we travelled with when we went to Berlin – so he’s used to it. 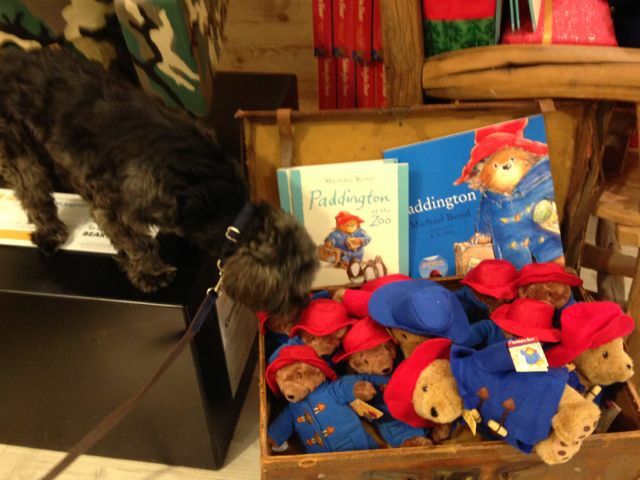 After Mummy got what she wanted, they went in search of Paddingtons. 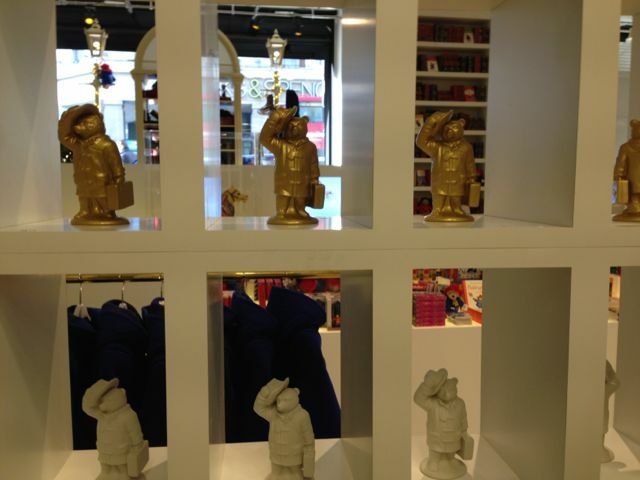 They found one all the way upstairs in the toy department. 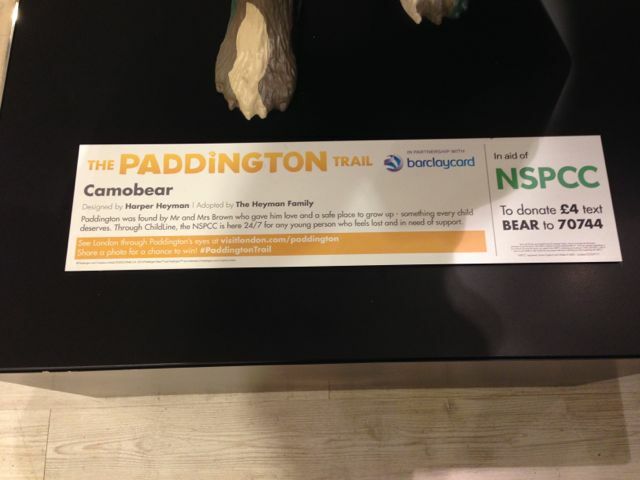 This was Camobear … But George was more interested in the “real” Paddington Bears! Hey look! 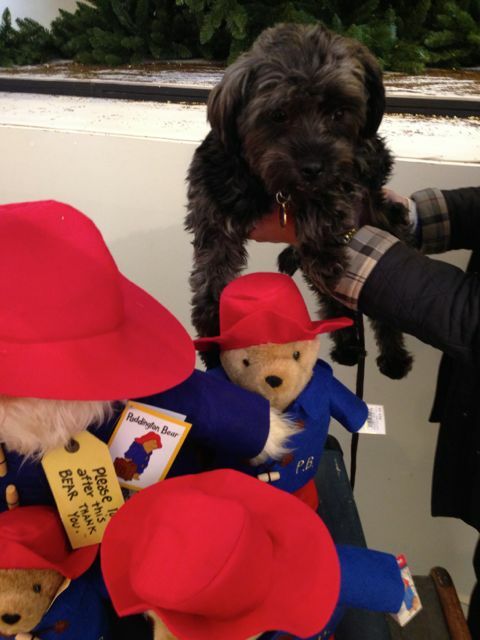 There were lots of little ones too – Here’s George posing with all the Paddingtons! 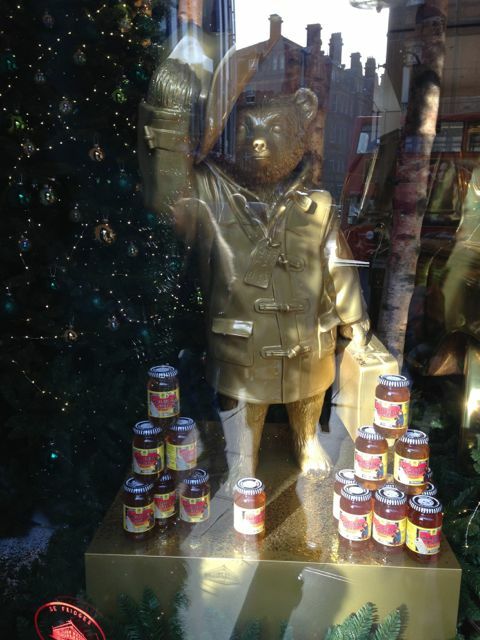 As they left Selfridges, they saw the Golden Bear by Kate Moss in the store window. 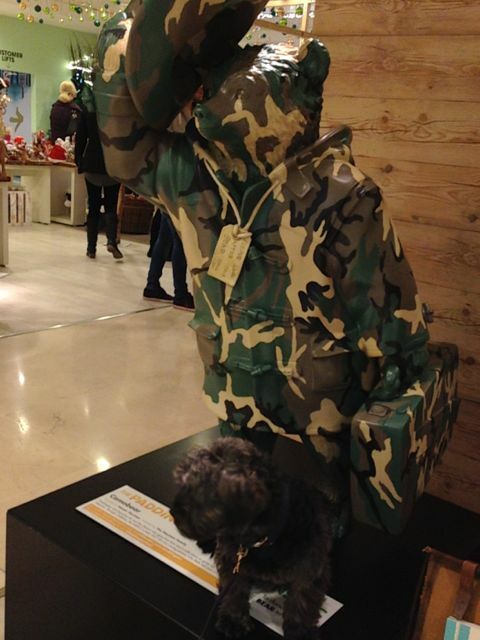 May’s comment: On the Paddington Bear Trail – The Selfridges Collection this is our 5th and 6th Paddington Bear. 44 more to go!